How lovely to laugh over lousy Scrabble draws and to be beaten almost every time and not mind a twig because it reminds one of how lucky it is to have a smart and wordy daughter. Sometimes life hands us a q with no u and no memory of the words that can be made without a u. 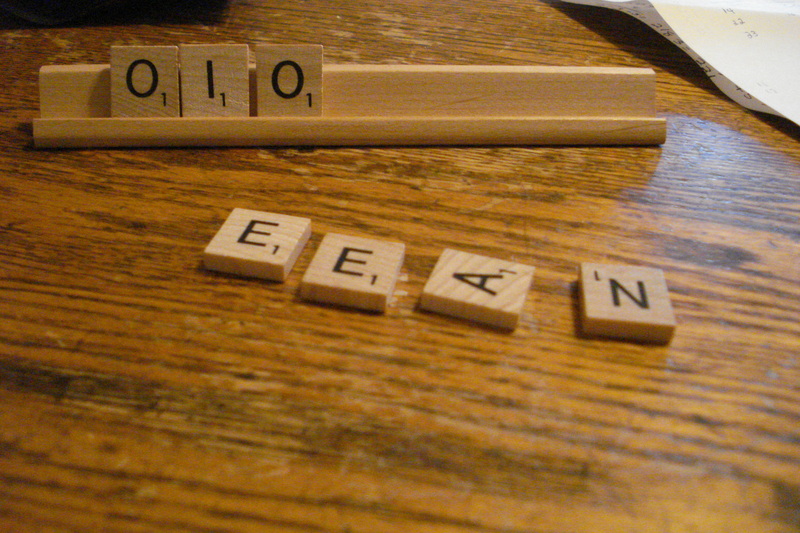 Sometimes life hands us an x and a triple word spot to play it. 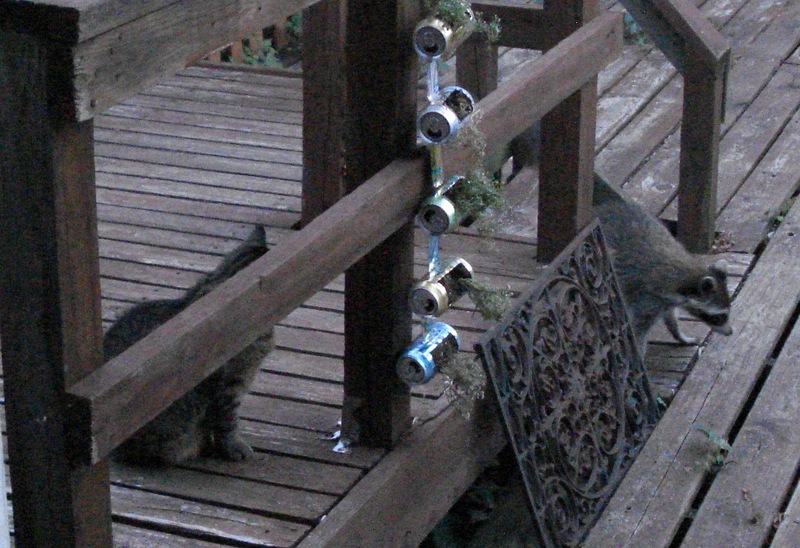 How lovely to see one’s daughter’s ginormous back deck and the racoon that lives under it when it comes out to have a staring match with the cat and then saunter off. The cat did not appear to feel fierce about letting its territory be walked upon or even completely romped and stomped by raccoon visitors. Cat visitors were another story. But it was summer time in Indiana, so my daughter watched her cat and another lay on the deck growling at each other, apparently too hot and hairyto get up and move a muscle of defense. How lucky to have a daughter who creates a deck garden using aluminum cans. its leaves and waves them like a wild hairdo against the sky. In droughtly summer, we’ll have to offer it 10-15 gallons of water a week to drink. Now it’s a bold and enthusiastic pioneer to the Oregon territories and this new neighborhood that will someday love its shady self. The sunflowers begin to grow crowns, shyly trying them on and getting ready to prance out in public all yellow and gold-headed. The stonecrop may welcome drought but right now it also revels in the rain. The garden also has reds. Colors of foilage I don’t ever remember seeing in Ethiopia but that pop up everywhere in Portland. 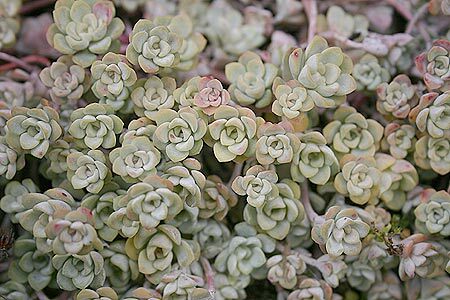 Everyone knows what time does, but I spot no flying thyme in nurseries as I read plant labels. Creeping thyme, though? 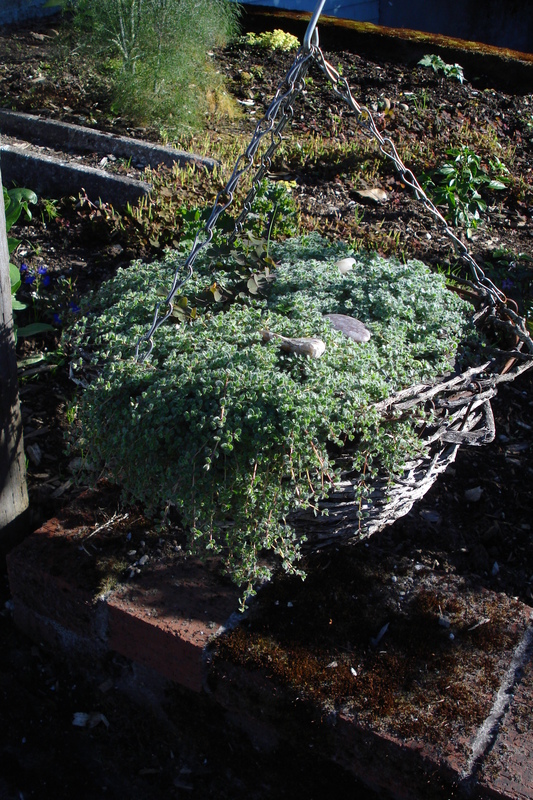 Thyme fills the hanging basket with wooliness and spills over the sides and crawls up the garden wall and sends wily tendrils forward into the dirt. I find it everywhere it doesn’t belong and sometimes, worn down by its stubborn assumptions, I sigh and let it stay. 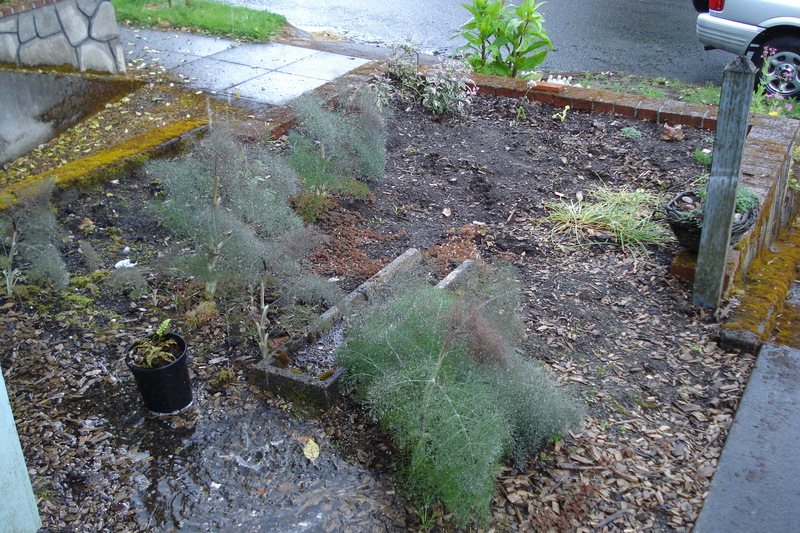 Last summer, I planted herbs and have been eatng basil and parsley and slightly soapy cilantro. The edibles add up. Tomatoes green and black and pink. What a wealth will grace our bowls someday when more rain has come and more sun and more lucky, lucky time has crept down the path dragging life behind it. So children and books and gardens grow. I feel all Little House in the Big Woods-ish as I dig up the ugly area right off the street in front of my house and replace the spotty grass with steppables. Such delicate leaves and interesting shapes. 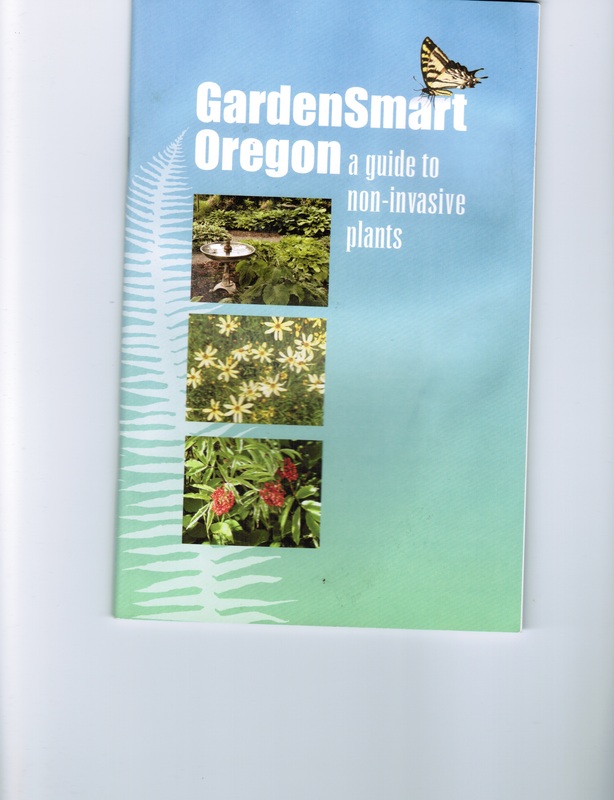 A blogger called one of the plants I bought an “iddy biddy ferny thingie,” which gives you the idea of the kinds of things that have made my heart go pittery pattery this spring. 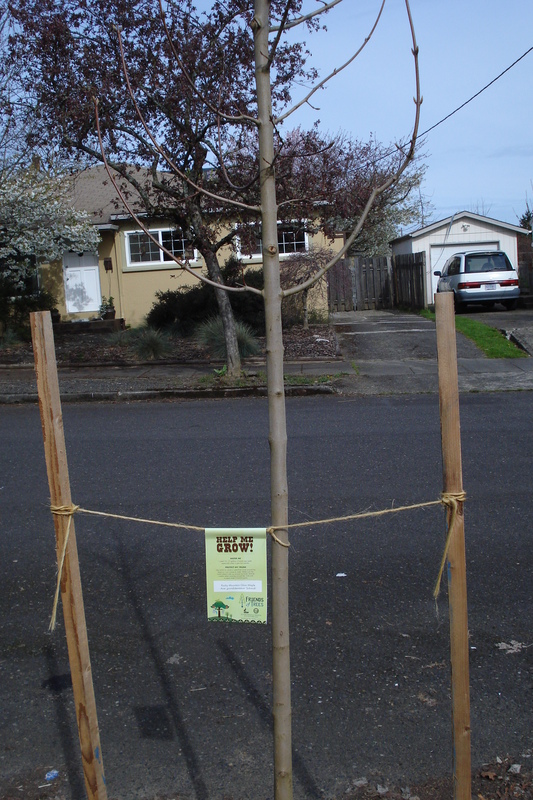 I first got interested in what I could grow in my new space when the Friends of Trees folks hung a flyer on my door not long after I moved in. The tree they planted pretty much looked like a stick at that point, with instructions about how to take care of it. 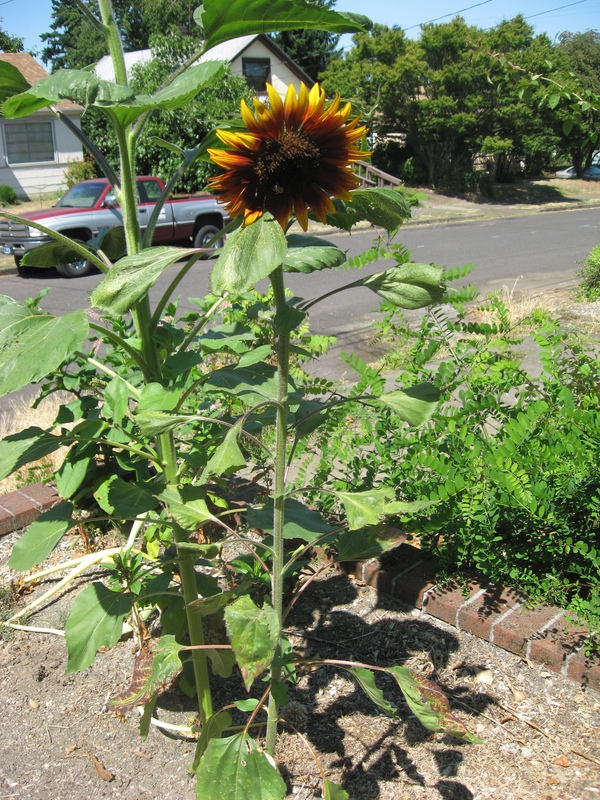 Since it was late summer in Portland when we moved, we inherited plants that were already blooming in the front yard, including giant sunflowers and dried-up sticks of Greek oregano. 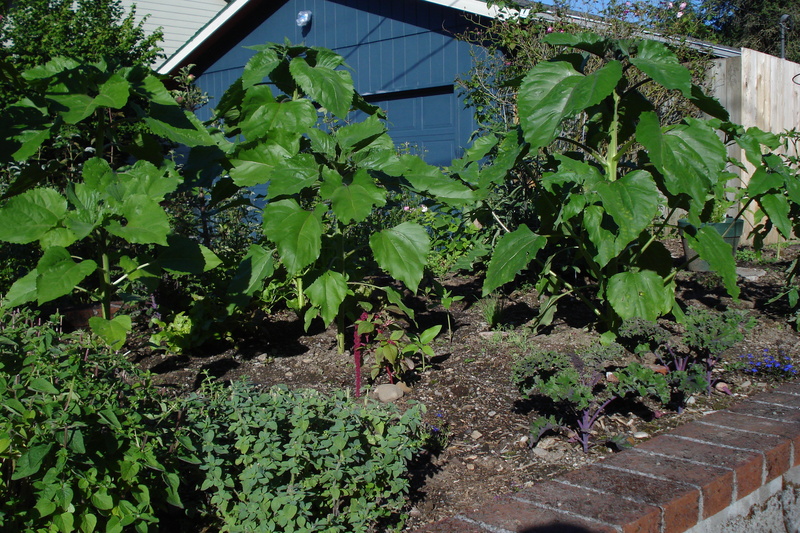 Magically, this spring, the stick trees leafed out, the Greek oregano (that had looked so shriveled and ugly the year before) turned into a luscious bush, and the seeds that the sunflowers had flung into the ground popped up as baby sunflowers. 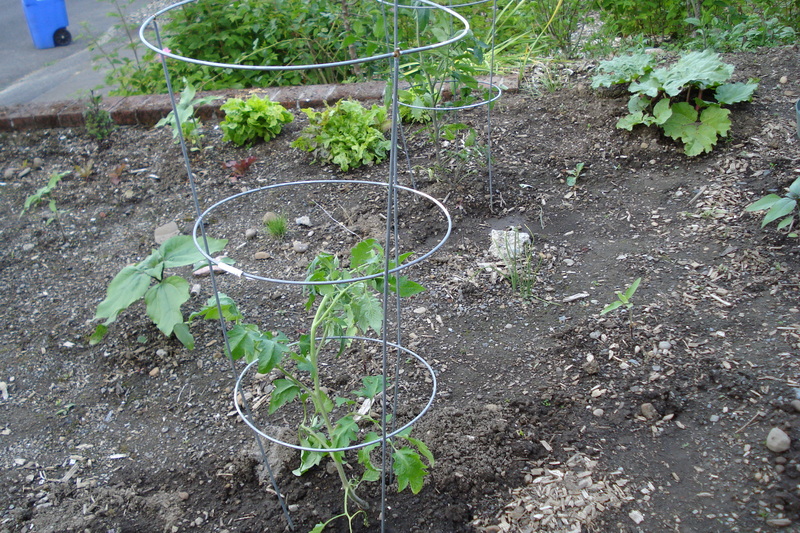 I started simply by spreading the seedlings out a bit so they could have some room to grow and not be all smooshed together. By now, though, they need even MORE room. 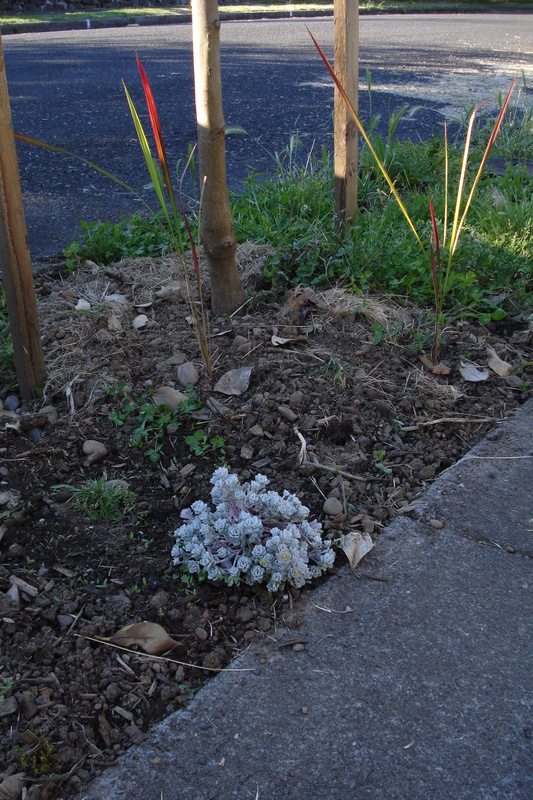 I’ve transplanted some of them into other parts of the yard that I thought I’d be ignoring for several years. 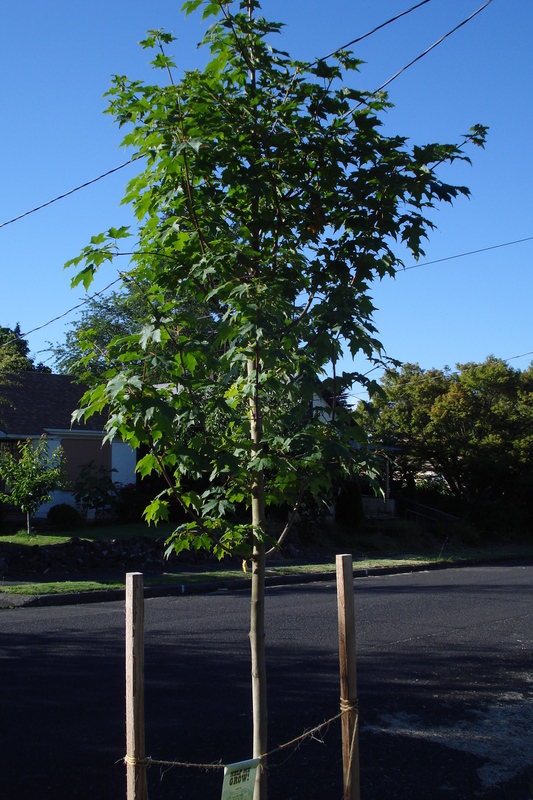 Have I mentioned that I’m in love with the way plants in Portland come CHARGING back in the spring? I’m planting mostly things that spread and will cover the ground with beauty without being babied or coaxed along to do so. Now I can’t wait for them to spread. When I was working on the Lanie books, the concept of local plants supporting local insects supporting local birds got planted in my brain. So the first plant I bought this spring was a local stonecrop. Recently, I got another local plant called kinnikinnick. Who could resist that name? Delicious names. It’s enough to make a body want to put a garden in my next book, too. I’ve also been learning about the plants (some of them in my own little space) that are grabby and rude and shouldn’t be encouraged. Rooted where we find ourselves. Looking around for how to create new beauty and new life there. Grateful that we can make a difference in our own back yards and around the world. Big Ma Nature turns off the faucet fast around here! 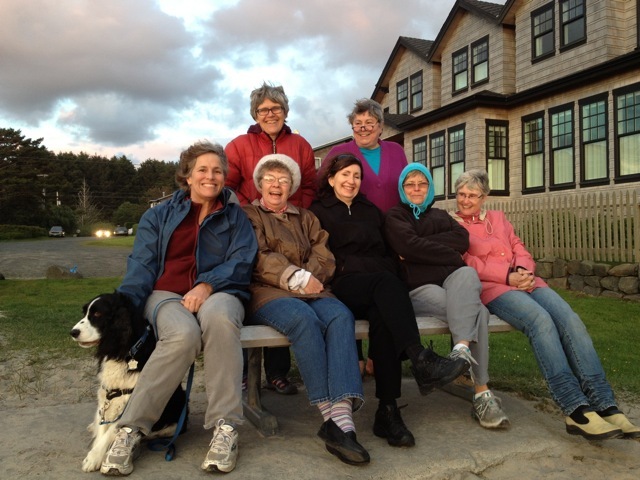 Last week, some of the Vermont College MFA faculty had a writing retreat at Canon Beach, and it rained on us almost every day–I got soaked twice. Today, I’m watering my new garden, fussing over those poor tender greenlings looking limp and helpless in the sun. I’m trying to figure out what kind of laurel that is in our yard and whether I can use the leaves for mulch and hold the moisture into the soil. I’m worring over a slug I scooped up with laurel maybe-mulch. I got it out of there, but does it have cousins left behind? Life swerves. Hang on for the wild ride! I think I’m addicted to Ethiopia Reads. How can I resist with this kind of email popping into my life? Sami and Anna! Wowee. It seems like every week brings a jolt of joy like their email. It’s thrilldom to see how many people love reading so deeply and want to share the experience. People have such intense faith that they can do something important. 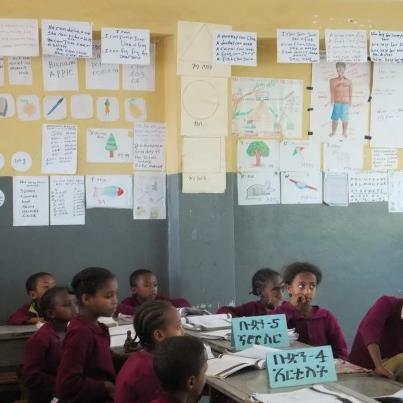 One of the realities in Ethiopia is that families and schools and individuals in the US can raise the money pretty easily to hire someone who can work for literacy full time. 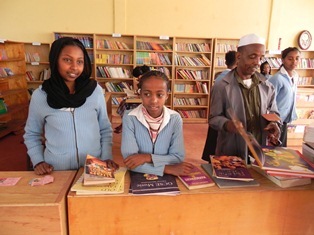 Ethiopia Reads has five young Ethiopians who are encouraging things like book clubs in the schools where Ethiopia Reads has planted libraries. Take a look at a happening book club! 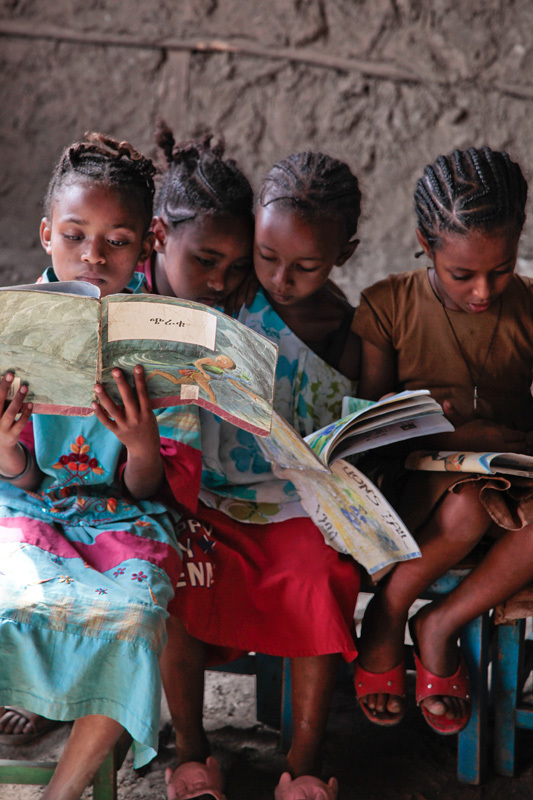 Volunteers come to Ethiopia Reads through long and short and winding paths. LeAnn Clark was the incoming president of Kansas Reading Association when I moved to Kansas. She stopped by my house while I was still unpacking boxes. 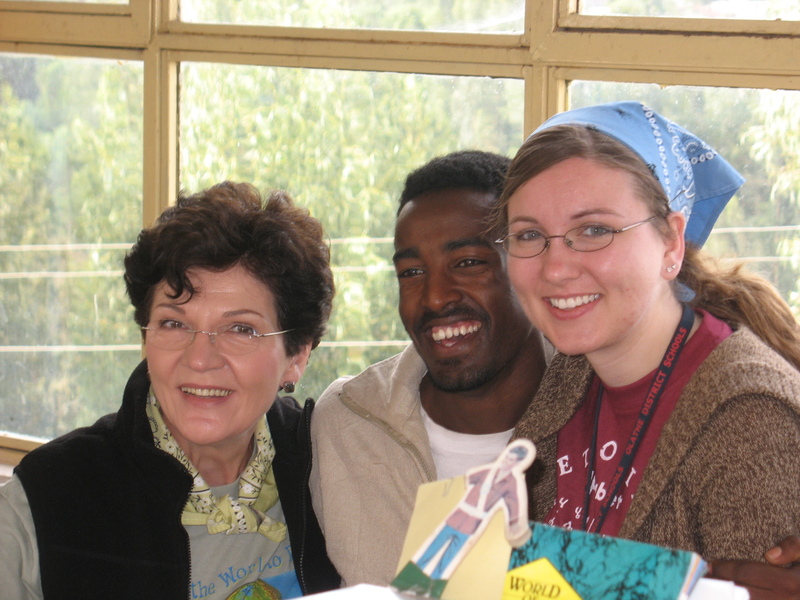 She recruited Kristina, who had been a student teacher in her third grade classroom, and packed her bags to be part of a teacher-to-teacher project in Ethiopia in 2007. 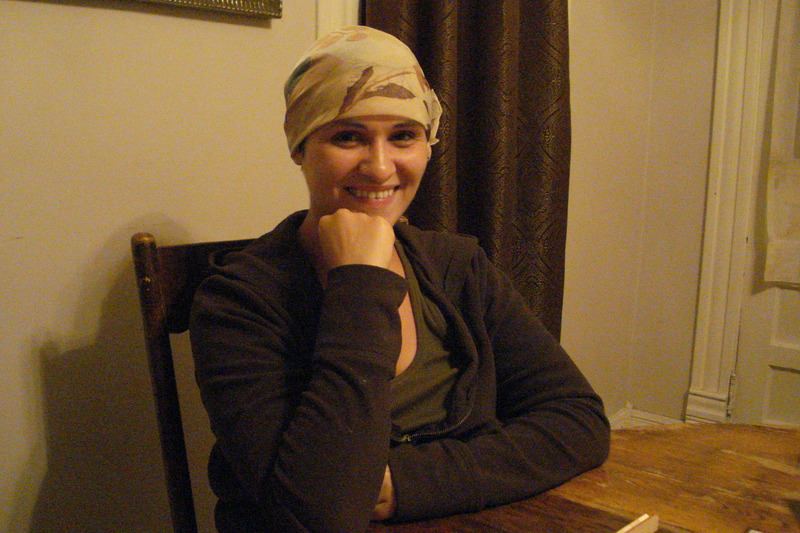 She’s been back three times–and when she’s in Kansas, she spends huge chunks of her life gathering and storing and sorting and packing and shipping donated books. People send her books from all over the country. 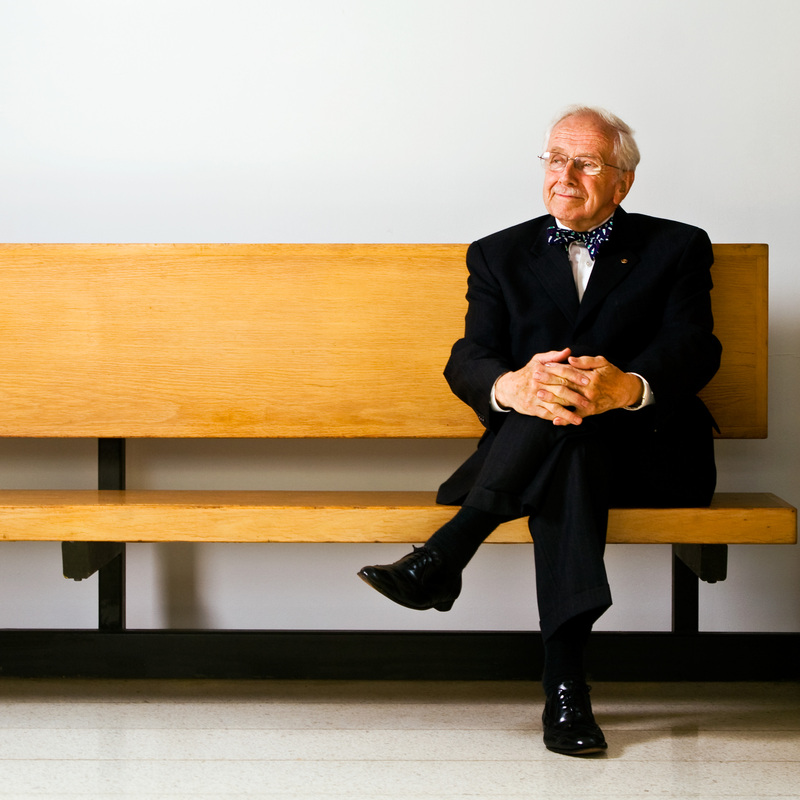 She loves sharing some of their stories with me–and no one tickled her more than Robert Quade, a professor at Centenary College and a proud grandpa of a Peace Corps volunteer in Ethiopia. Robert Quade’s students shared comments about his passion for teaching and how he wanted his students to succeed. An outrageous sense of humor. He will be missed by the Ethiopia Reads family. 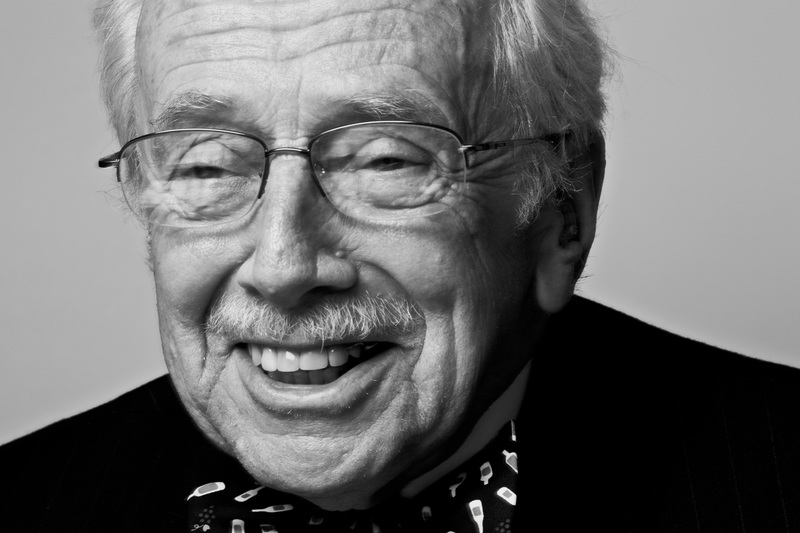 But his compassion, his service, and, yes, his humor will live on in our stories and in those books he cared so much about. 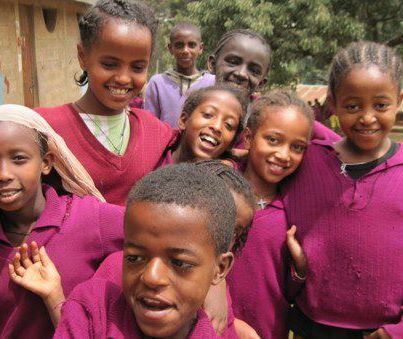 This fall, the Bring a Book Buy a Book volunteers will all pick up the torch and raise the money to move those books on from Kansas to Ethiopia. 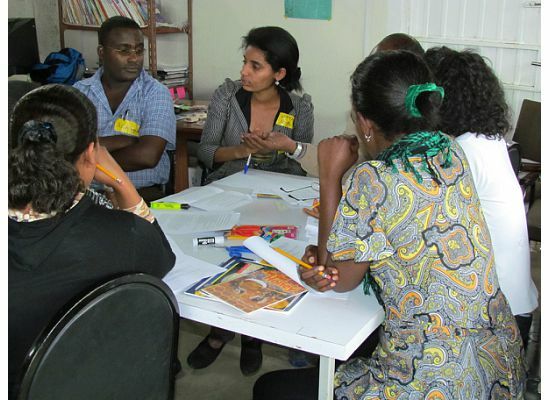 And educators will volunteer their time to work with the adults who will put books into kids’ hands. What an amazing and joyful project to work on. What a thing to leave behind. 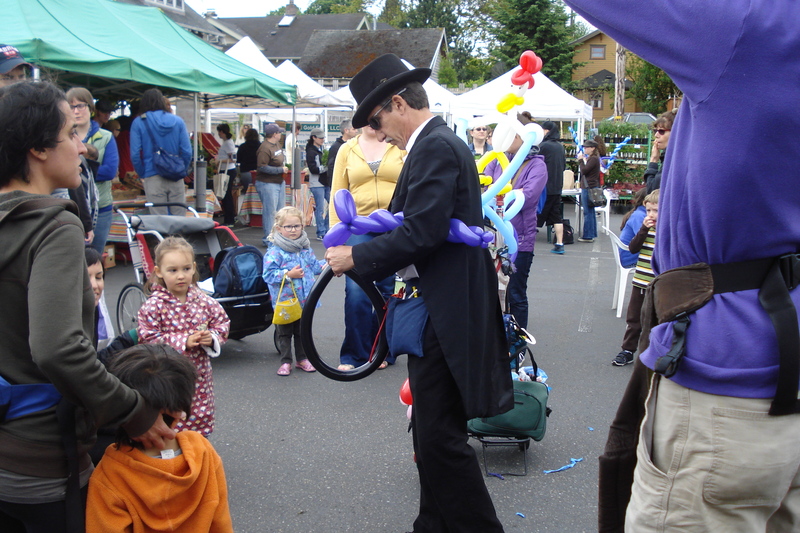 Do you have a project that baffles or befuddles you? 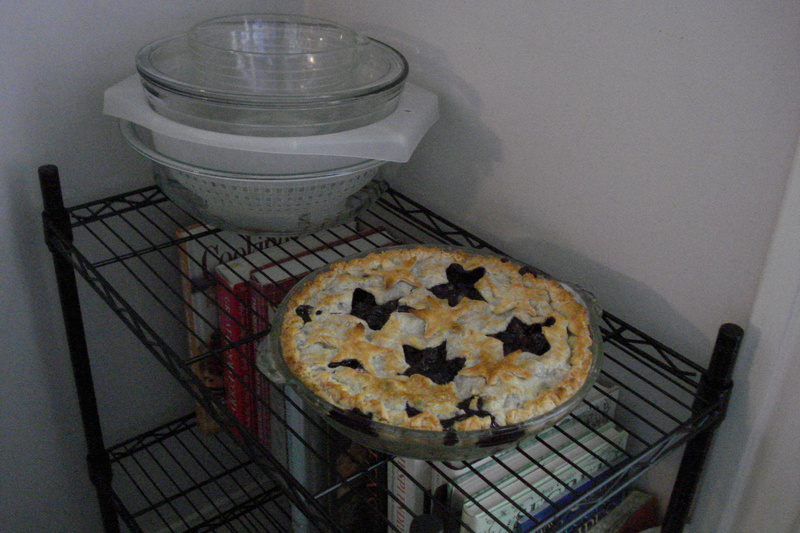 Something that no matter how hard you lean on it, you can’t get it to budge? A door that refuses to open? My writing is often that way. Right in the middle of a novel, I think about that delicious other novel I’ve always wanted to write. Or I sit and stare at a paper or screen and decide I’ll never have a clever, wondrous idea again. Sometimes I envy my Vermont College students their deadlines and feedback. 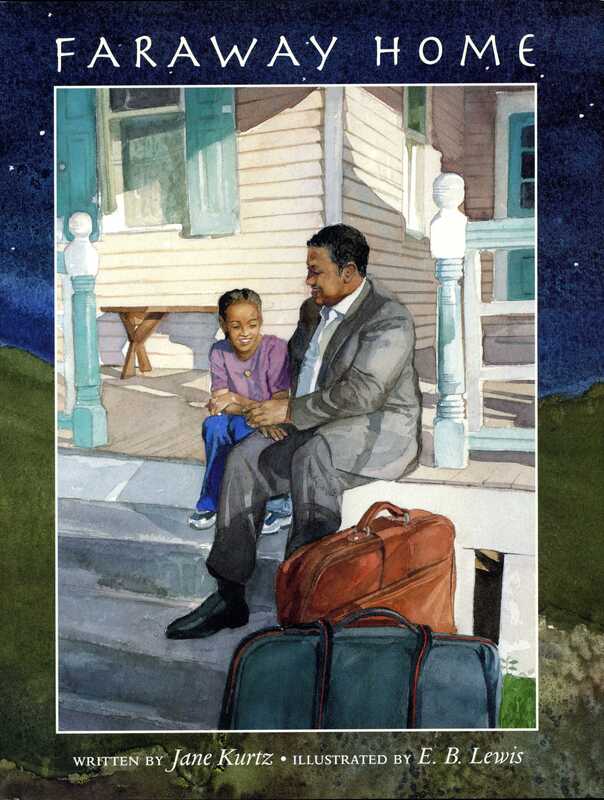 Every one of my published picture books and novels carries an invisible trail of despair, dead ends, and almost-gave-up spots. My volunteer life with Ethiopia Reads is that way, too. 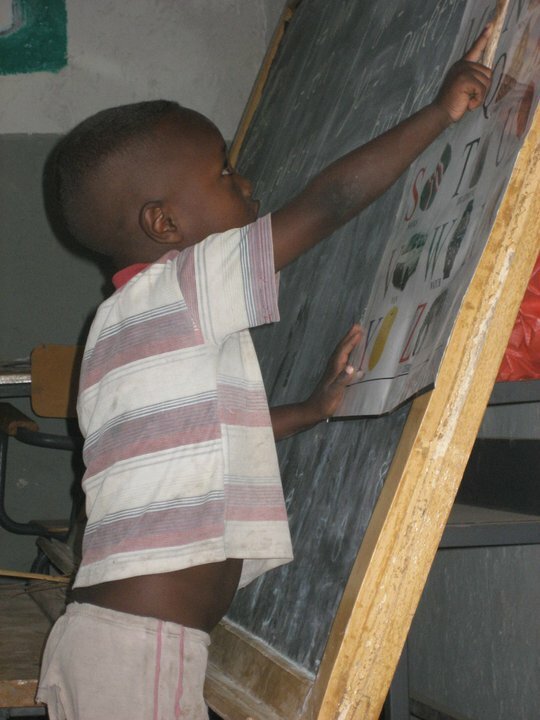 I saw kids in Maji coming to school when I was four years old and desperately wanted to go to school, too. Some of the students who walked into that building every morning were actually young men, not kids, but they weren’t about to let go of their chance at an education. 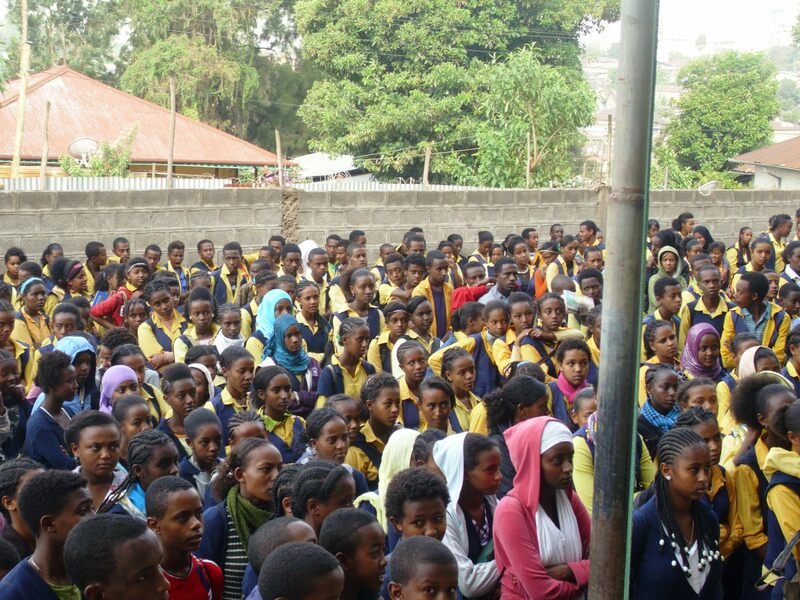 Well, many years later, it’s still tough to get good education to every kid in Ethiopia. 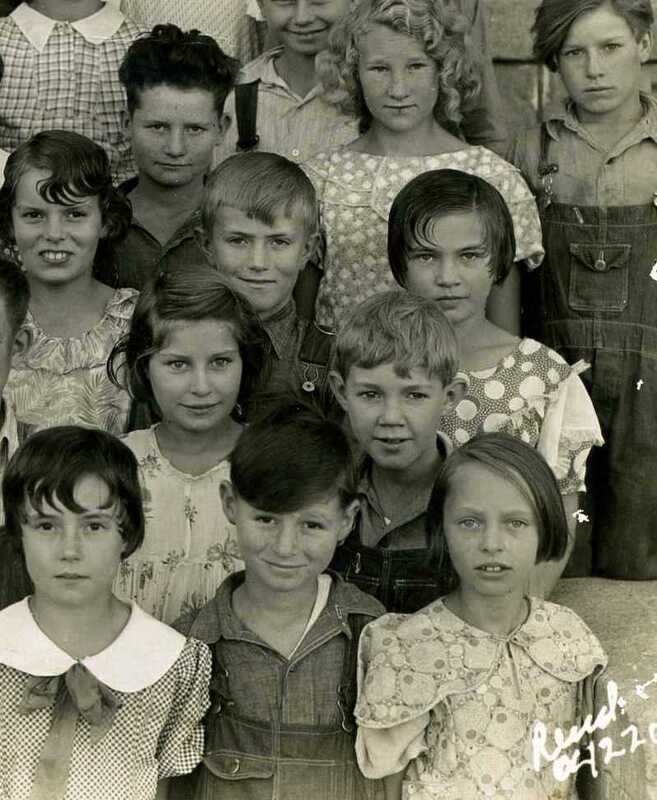 When I look at this school picture with my dad and one of his brothers, I remember that it wasn’t easy to get education to their farm community in eastern Oregon in the days when they were kids, either. Some things take a long, stubborn, determined effort. 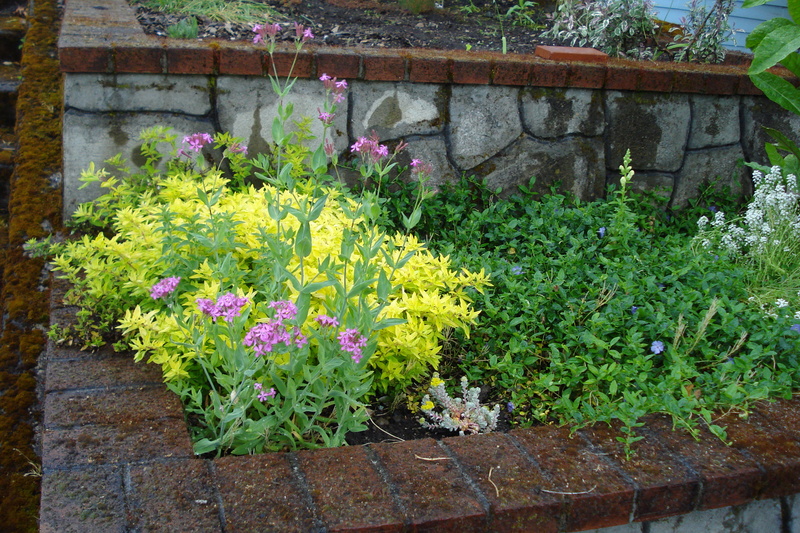 Then there’s my Portland garden. Every morning, I can’t wait to go outside and see what the Oregon rains have wrought. Nothing seems stalled out or in a hopeless mood. All the plants are chug chugging along, including the weeds. We have so much oregano (three different kinds) that we could open a massive pizza place and still never be able to use it all. I’m trying to remember that it’s okay to not use all my herbs. They still make a nice-smelling bug-free contribution to a garden. These days, I’m particularly in love with thyme. 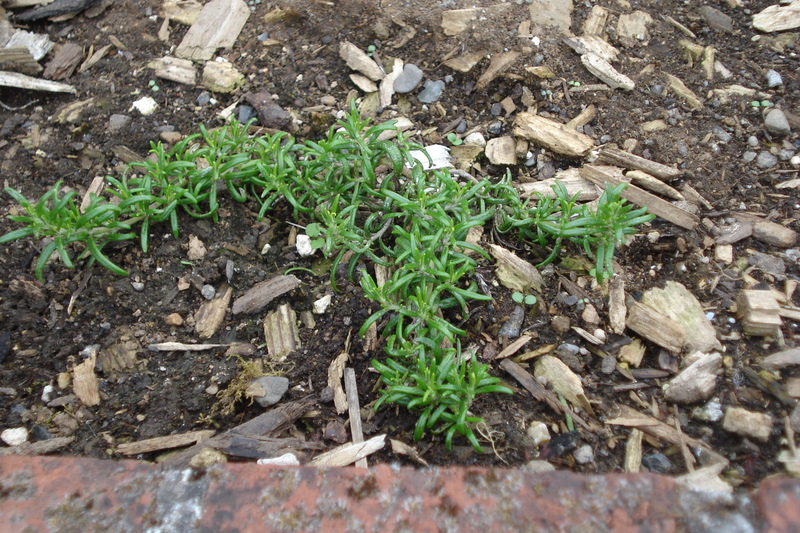 Time doesn’t creep, but thyme does. 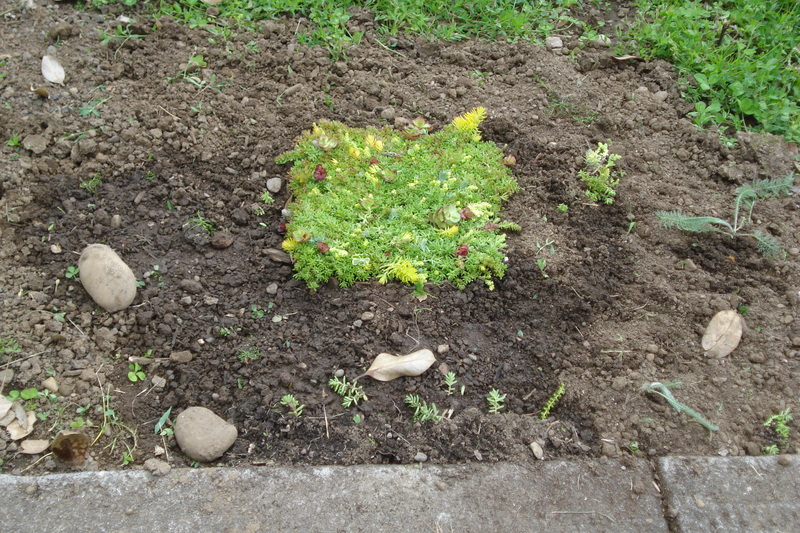 When we went to the farmers’ market last Sunday, I bought a plant–creeping thyme–and liked it so much after I got it in the ground that I went back and bought two more plants. This early in the season, not a lot of produce was available in the farmers’ maket…we bought beets and chard, though, and admired the balloon animals and bread and sheep cheeses. I was wishing for some zucchini or a home grown tomato or two. Then my big sister delivered tomato plants. And flowers. And more herbs. With something new arriving every day, you’d think I would never have the garden equivalent of writers’ block or mission burn-out. But I noticed something this week. I’ve bought a lot of creeping plants that will spread…sometimes spread fast…and I noticed that I was impatiently checking back every few hours to see what was happening. Apparently, I want everything to grow faster than it actually does. In my heart, I know much that matters comes slowly. We put our whole self in. We try to look away and hum as if we’re not impatient at all. We dig in for the long haul and step step step.